Traveling by car from Calgary, I had driven through mostly wide, open spaces. So I was pleased to find this town, if only for its concentration of human activity. Arriving at dusk, I found my hotel. It was closed. But I had a paid reservation. Something was wrong. After walking all around the building and finding it totally deserted, I returned to my car. I stopped at a local restaurant to inquire. The waitress told me that hotel was closed for renovations. Graciously, she phoned the hotel’s regional manager who arranged my complimentary booking at the local Super 8 Motel. An unforgettable destination already. The next day, the Royal Tyrrell Museum enthralled me with its dinosaur exhibits and magnified reproduction of the extinct sea life from Burgess Shale. My favorite Burgess Shale character of the Cambrian Period had five eyes and a vacuum cleaner hose proboscis. The artist rendered these minute creatures on a magnified scale. The exhibit noted that survival includes not only the ability to adapt but also a lot of luck. 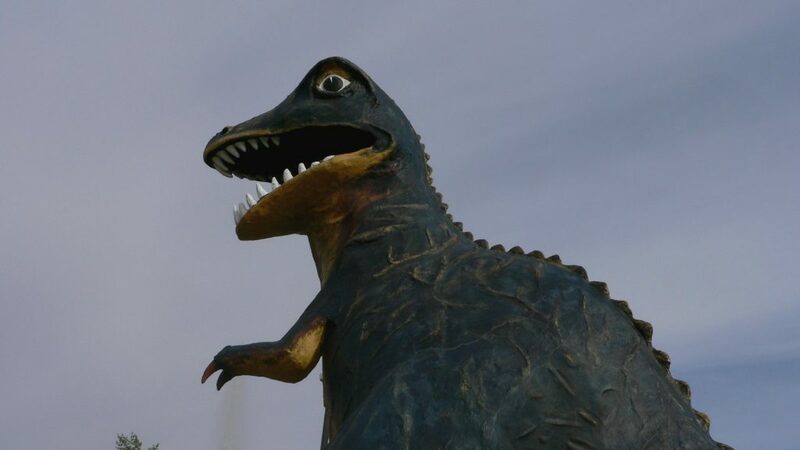 In the Albertosaurus at the museum entrance, I recognized the morning jogger of prehistoric times. 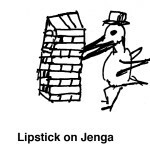 The upper overbite lent it an air of determination. The sign said the Albertosaurus was more agile than the T-Rex. The museum said sea turtles were alive at the time of the plesiosaurs. What myths or ancient lore has been handed down to the modern sea turtles from earlier times of roaming the waters with those huge creatures? On a guided walk off the trail, I learned about the different sedimentary layers of rock and looked for fossils. There was an Albertosaurus tooth in a partially exposed skeleton of a Hadrosaurus. Did it scavenge there and lose a tooth? They didn’t brush or floss, I hear. At the Reptile Center, a Tagu (a large lizard, black with white polka dots, from Madagascar) kept sticking out its pink tongue at me. I let a fourteen year old, female Boa Constrictor be wound around my shoulders. I stared at a six hundred pound black alligator. Reptiles (living and extinct) were intriguing me that day. The next morning started with the official Hoodoos site. 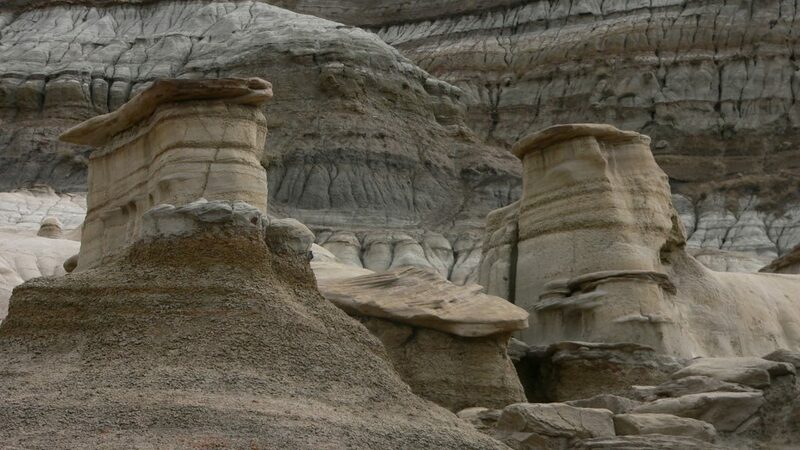 Hoodoos can take millions of years to form. These were more than twelve feet high. To me, they looked like stone mushrooms. It was a landscape that cried out for an investigatory team from the Starship Enterprise. At the end of my stay, I walked about the Largest Dinosaur before ascending its inner stairs. Inside the mouth, I was at a lookout, eighty-six feet high, seemingly suspended in time before I was to be crunched by a huge, carnivorous dinosaur! If you are in the Alberta Badlands of Canada, do visit Drumheller. 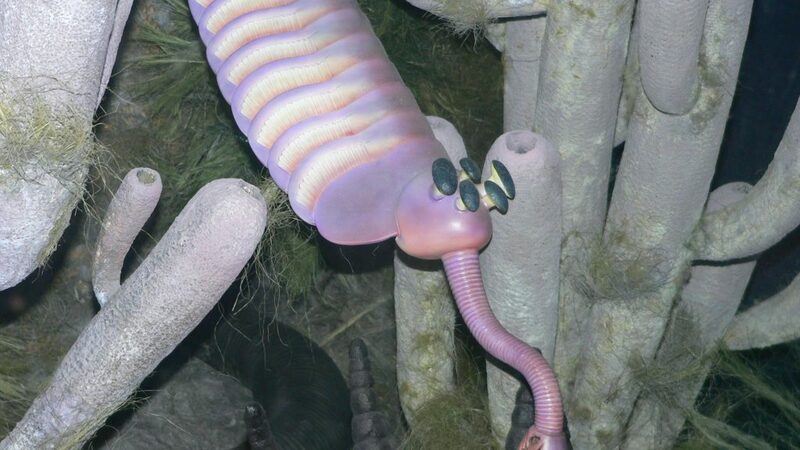 At the Field Museum in Chicago…an exhibit on the Cambrian Era was a 3 screen video picturing life back in the day as though you were looking into an aquarium…and I learned my favorite creature from the Burgess Shale fossils is called Opabinia.